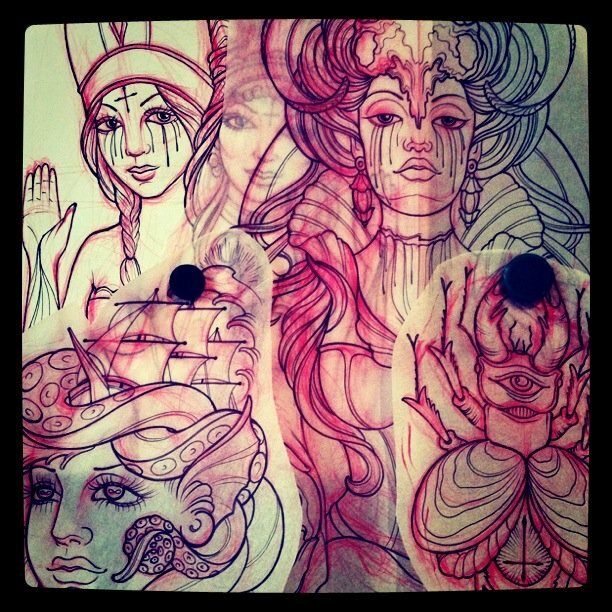 My friend Annie Frenzel recently started a tattoo blog; Annie is one of my ‘bucket list’ tattooers, someone I want to get worked on by before my ticket is punched. She’s recently moved to Germany, which is one of my bucket list countries to visit…. so I’m sure everything will work out in the end. Bookmark her blog to keep up with her latest work; you won’t regret it. German Hammer: Tattoos By Annie Frenzel.